The company which operates 18 KFC franchises on the island of Ireland says sales dipped, as it recorded a €2m loss. THE COMPANY which operates 18 Irish franchises of the fast food chain KFC has reported a 9.7 per cent fall in sales for 2010, as it recorded a loss of €2 million for the year. Herbel Restaurants Ltd, which operates a chain of the restaurants in Ireland, said its retail sales had fallen from €20.8 million in 2009 to €18.7 million in 2010. Accounts filed with the Companies Registration Office show the company as having met administrative expenses of €10.5 million, from just over €9 million the previous year. Overall the company declared an after-tax loss of €2,048,000, largely as a result of having to pay interest of €3.86 million on bank borrowings, which totalled over €65 million. It also wrote down the value of some fixed assets by €668,063, though its tangible fixed assets remained valued at almost €112 million. The company said its loan facilities had been due to expire in March and June 2011, and while it did not have a binding agreement to renew these loans, it was confident that it would be able to do so. The company had reported an after-tax loss of €469,722 the previous year. It paid Irish corporation tax of €148,097 in respect of its operations for 2010, down from €356,690 in 2009. Wages for the company’s 228 staff cost €5.45 million for the year, with a further €401,145 in social welfare costs. Email “Sales at Irish branches of KFC fell almost 10pc in 2010”. 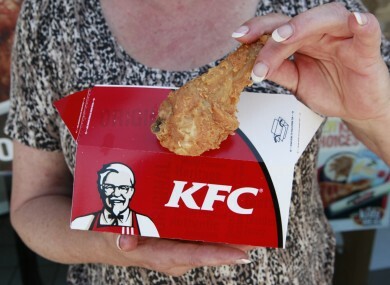 Feedback on “Sales at Irish branches of KFC fell almost 10pc in 2010”.